As the smallest of the otter species, Asian small-clawed otters have unique feet. Their paws have short claws and are only partially webbed. This gives them greater sensitivity to touch and increased coordination-ideal for flipping over stones and feeling for prey in the mud. In the wild, small-clawed otters eat mussels, snails, and crabs. Different diet preferences mean they can live close to other otter species without competing with them for food. Otters are built for swimming. They have long, flexible bodies and excellent vision under water. 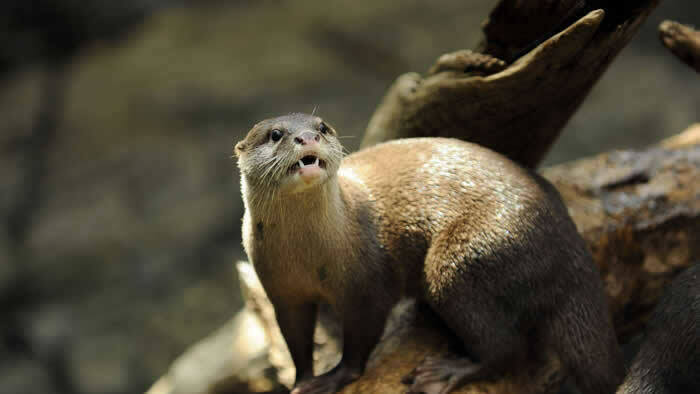 Asian small-clawed otters live in shallow coastal waters, rice paddies, and along rivers and lakes in much of Southeast Asia, from India to Indonesia. Otter pairs form strong bonds and live in extended family groups. “Pups” are born with their eyes closed and both parents are very attentive to their young. Young otters don’t learn to swim until they are about nine weeks old. 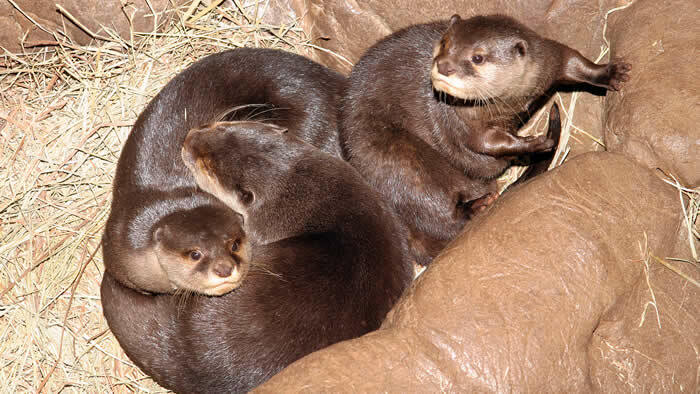 Asian small-clawed otter populations are in danger. Their populations are threatened by rapid habitat destruction, hunting, and pollution. Head & body: 24 in. 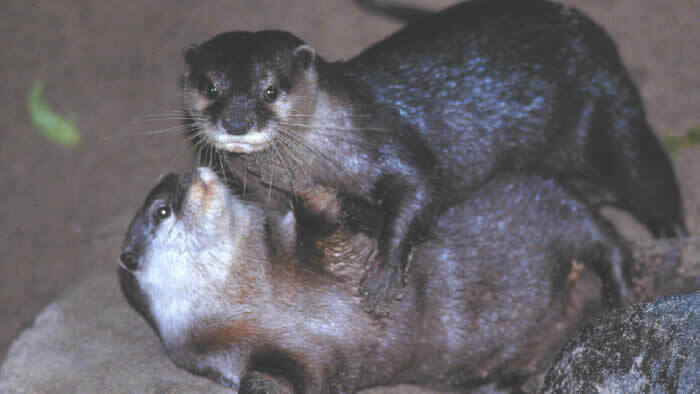 Like other members of the weasel family, the strong, musky scent of the Asian small-clawed otter is used to communicate with other otters. Like all otters, small-clawed otters are good housekeepers. They usually designate one area as the “toilet” and keep the rest of their home clean. Unlike other otters, which use their mouths to catch prey, small-clawed otters catch their prey with their front paws. In Asia, fishermen have trained small-clawed otters to drive fish into their nets. The otters usually get to eat some of the catch. Although at lower risk than many Southeast Asian animals, these otters are declining in numbers due to hunting, habitat destruction, and water pollution. Through the Association of Zoos and Aquariums (AZA), zoos from around the country work together to manage populations and establish conservation programs called Species Survival Plans (SSPS). Each SSP carefully manages the breeding of a species in order to maintain healthy and genetically diverse populations in zoos. Since 1991, the Minnesota Zoo has birthed 9 Asian small-clawed otters that have gone into the SSP pool, and we hope to breed more soon.